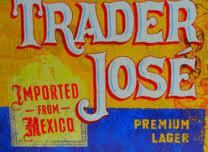 Beers from Trader Joe’s and Walgreens stand up to name-brand competition. Looking to enjoy the last weeks of football season with the perfect brew? Coors regular topped Consumer Reports’ recent taste test of beers, blowing away nine brews including Budweiser and Bud Light. Name Tag and Big Flats — store brands from Trader Joe’s and Walgreens respectively — beat out top-sellers Corona Extra and Budweiser. The full report and Ratings of beer is featured in the February issue of Consumer Reports and online at www.ConsumerReports.org. To determine the best brews, the experts at Consumer Reports conducted blind taste tests of ten lagers — eight top-selling regular and light beers plus two store brands. Although none of the beers were scored a touchdown, Coors, which scored Very Good but not quite high enough to be rated excellent, came close, standing out for balanced flavors with citrus notes and no off-tastes. In addition to earning the highest marks in Consumer Reports’ tests, Coors, available for $6.45 for a six-pack, was deemed a CR Best Buy along with runners-up Name Tag (Trader Joe’s), Big Flats (Walgreens), and Miller High Life. Regular vs. light. Light beer has 20 to 50 less calories per serving due to lower carbs and slightly less alcohol, but no tested light scored high enough to be very good. Miller Lite, which had more flavor and is a little fruiter than most, was best of the bunch; Corona Light, a bitter brew with traces of tinny and sulfury off-notes was the worst. Price vs. taste. Corona Light costs far more than the higher-rated Miller Lite; and Corona Extra costs about twice as much as three better beers – Name Tag, Big Flats and Miller High Life. Cans vs. bottles. Consumer Reports tasted beer from cans which do a better job than bottles in keeping light, beer’s nemesis, from getting inside. Light can react with beer within weeks or even days to create compounds similar to those a skunk uses to defend itself. The complete beer Ratings are available in the February issue of Consumer Reports and online at www.ConsumerReports.org starting January 3. Consumer Reports is the world’s largest independent product-testing organization. Using its more than 50 labs, auto test center, and survey research center, the nonprofit annually rates thousands of products and services. Founded in 1936, Consumer Reports has over 8 million subscribers to its magazine, website and other publications. Its advocacy division, Consumers Union, works for health reform, food and product safety, financial reform, and other consumer issues in Washington, D.C., the states, and in the marketplace. The material above is intended for legitimate news entities only; it may not be used for advertising or promotional purposes. Consumer Reports® is an expert, independent nonprofit organization whose mission is to work for a fair, just, and safe marketplace for all consumers and to empower consumers to protect themselves. We accept no advertising and pay for all the products we test. We are not beholden to any commercial interest. Our income is derived from the sale of Consumer Reports®, ConsumerReports.org® and our other publications and information products, services, fees, and noncommercial contributions and grants. Our Ratings and reports are intended solely for the use of our readers. Neither the Ratings nor the reports may be used in advertising or for any other commercial purpose without our permission. Consumer Reports will take all steps open to it to prevent commercial use of its materials, its name, or the name of Consumer Reports®.